Despite having nowhere near the box office pull or name recognition factor of Disney/Pixar, Aardman Animation Studios is second only to that mammoth in terms of quality players in the animation game. 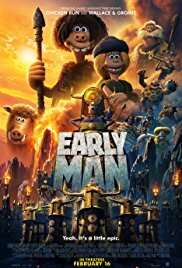 Their latest effort, the caveman comedy Early Man, may not reach the lofty heights of their best work (the delightful and criminally under seen Arthur Christmas, for example), but it's funny, charming, inventive and touching. Academy Award winner Eddie Redmayne stars as the voice of Dug, a likely goofy stone age member of a tribe of rabbit hunters. Dug dreams of bigger things, like hunting mammoths, but Chief Bobnar (voiced by the incomparable Timothy Spall) tells him they just aren't meant for that. Dug also finds himself fascinated by old cave drawings of people playing a strange game that involves kicking a ball around. One day, when the village is attacked by a group of Bronze Age bullies led by the nasty Lord Nooth (Tom Hiddleston doing an odd French accent), Dug discovers the truth behind a game called futbol and challenges Nooth's championship team. The prize: The right for the rabbit hunters to stay in their beloved valley. Despite the bizarre setup, this quickly becomes a formula underdog sports movie, but that's not a bad thing. 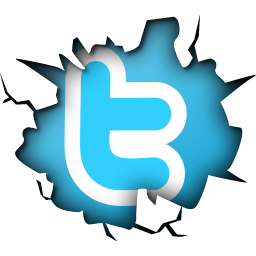 The characters are engaging and the humor genuinely funny enough that we're carried along every step up of the way. Perhaps the most endearing character is Hognob, a warthog like creature who acts as a sort of informal mascot to the rabbit hunters, and whose grunts and snorts are voiced by director Nick Park himself. Where Hognob's story is headed is one of the most predictable elements of the film, but it doesn't matter in the least. You no more need to be surprised than you need to have explained to you why there's a giant man-eating duck. It's just that kind of film. Redmayne is immensely likable, as are Spall as the Chief and Maisie Williams as Goona, a Bronze Age woman who is sympathetic to the stone age rabbit hunters. Hiddleston's accent is a somewhat strange choice that plays less now than it might have a few years ago, but the very talented actor is clearly having fun and makes a good comic villain. As always the stop motion claymation seems fairly primitive compared to the cutting edge CGI of most animated films, but that hand-made quality is a considerable part of its charm. To say that Early Man is one of the best films of the year so far is actually quite faint praise considering the fact that it's only February and simply being possible to sit through makes it better than most early in the year fare. But while it will likely be largely forgotten by year's end, we hope to see it show up as a dark horse candidate for 2018's Best Animated Film Oscar. It's an utter delight for all audiences. Spielberg, George Lucas, John Williams and a whole lot more.